Men love to wear jackets for various reasons. The most important reasons for wearing a jacket is to have protection for the body during outdoor activities. Some people, however, wear a jacket for fashion reasons, which is also okay by all standards. Whatever your intentions are, you can always rely on Arrak Outdoor to deliver the best products for your use. We offer men everything they might ever need from outdoor jackets to functional jackets for hiking and other fun activities. Our products are available in different styles, design patterns, color, and texture. We offer the most reliable protection for your body against weather conditions, no matter how harsh it might be. Arrak Outdoor’s collection of men’s functional jackets are easy to wear and simple to care for. Just follow the instructions on the label, and you can care for your clothes and make them last longer. Arrak Outdoor jackets for men have also been made with full functionality. Some of the jackets is made in softshell fabric to provide a smooth feeling. They also have double front pockets, multiple zippers, and elastic string right at the bottom of the jacket. 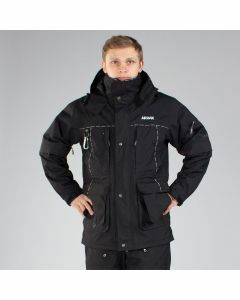 Arrak Outdoor’s jackets are recommended for use most time of the year and offer the best functionality for any weather.